Not only does the new Sonata get new sheet metal, it also gets an all-new Smartstream G2.5 GDI engine and segment-first technology that can be personalized, the automaker noted. 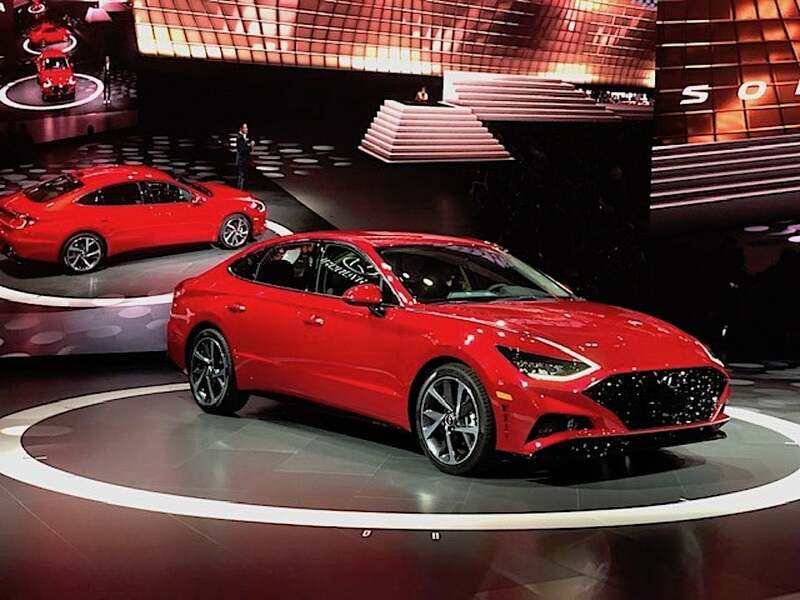 Fortunately, loyal Sonata buyers won’t have to wait long for the new model as production begins in September at Hyundai Motor Manufacturing Alabama with sales following in October. “Sonata is our signature product,” said Mike O’Brien, vice president, product, corporate and digital planning, Hyundai Motor America. This entry was posted on Wednesday, April 17th, 2019 at and is filed under Asia Pacific, Auto Shows, Automakers, Automobiles, Business, China, Europe, Events, Executives, Hyundai, Markets, NAFTA, New York, Personalities, Product Reveals, Sales, Sales, Sedans, South America, U.S./North America. You can follow any responses to this entry through the RSS 2.0 feed. You can leave a response, or trackback from your own site.